Pulling back the curtain on the Great Banking Collapse of 2008 is a risk that nobody has been willing to take…until now. 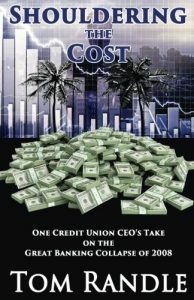 Tom Randle spent 29 years as a Credit Union CEO and witnessed first-hand the egregious behavior of the National Credit Union Administration (NCUA) and the Florida Office of Financial Regulations (OFR). 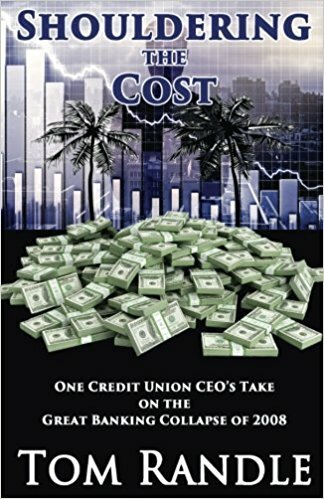 By presenting his first-person account of what really happened during the Collapse, he’s taking on the biggest machine he can take on—our state and federal regulatory agencies—and they play dirty. This is his story…unvarnished, bluntly told (with a bit of anger), and as honest as he can tell it. A personal story of loss, lapses in integrity and honor, and failures in leadership. Told from one who lived it. Lessons in leadership with real experiences.